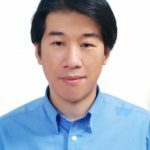 Dr. Lee primarily used embryonic stem cells for his research and identified five genes that silence and negatively affect self-renewal of stem cells. At the time of his fellowship, this was a novel insight, as these genes had not yet been associated with stem cells. By integrating changes to deplete these five genes, he observed the accumulation of DNA damage and genomic abnormalities, similar to defects caused by mutations associated with certain genetic disorders. This suggests that the maintenance of genome integrity is essential for embryonic stem cell self-renewal. Dr. Lee is applying this work to the study of cancer in his current independent position. He completed his postdoctoral studies at Mount Sinai in Dr. Ihor Lemischka’s lab.